This is WLASze: Weekend Links on Arts, Sciences and zero economics. Nothing can be as inspirational as real artistry and craftsmanship. And few examples of both stand head tall over the endless horizon of time than the works of Antonio Stradivari. This week, Sotheby's announced that it is selling "what is regarded as the finest viola in existence – the "Macdonald" made by Antonio Stradivari in 1719." The 295-years old instrument is expected to go for more than £27m, "a figure that would easily surpass currently standing auction record for an instrument – the Lady Blunt Stradivari, which sold for £9.8m. It would (if achieved) also be higher than any known private sale." Per Sotheby's VC: "The instruments of the Stradivari are in a class of their own among the pinnacles of human craftsmanship and the Macdonald viola stands at the unquestioned summit." There is little doubt Antonio Stradivari (1644-1737) was the greatest maker of violins and violas of all times, having authored at least 1,116 instruments, although only around half still survive today. 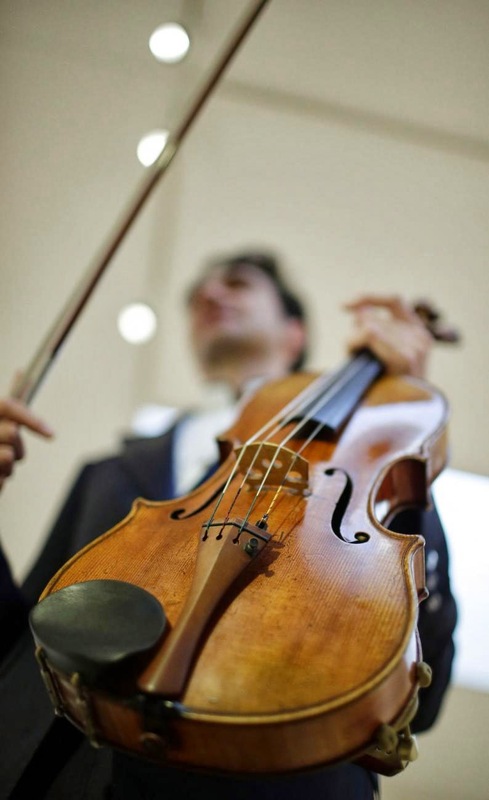 "A Stradivarius in a good condition emits high-frequency sounds in a range where human hearing is the most sensitive. These frequencies become more audible in larger rooms. That makes the Stradivarius ideal for concerts in spacious concert halls and for performances together with big philharmonic orchestras. But the magic, the allure, the raw emotional connection to Stradivari instruments - wether by public, critics or performers - also raises questions. The most pressing and the longest running one is: What makes Stradivari unique? And the less pressing, but probably more important one is: Is Stradivari unique? But there are doubts about both the existence and the source of Stradivari's violins performance compared to other outstanding works by contemporary and later craftsmen. But may be the science of all of this is simply missing one core point: an artist is more than just a collection of physical properties - be they of her/his instrument or her/his own making. May be art is an intimate expression or at least a reflection of the soul (let me be old-fashioned here and surmise that soul exists without having to resort to attempting to explain what it might be). If so, then who cares if technically Stradivari's greatest achievement might have been in his instruments ability to trigger a (scientifically) placebo effect. The core result is the effect itself, as far as we are concerned with art. And that effect is undeniable. Virtuoso violinist Anne-Sophie Mutter likened playing her Strad for the first time to meeting her soul mate: "It sounded the way I (had) always been hoping," she said. "It's the oldest part of my body and my soul. The moment I am on stage, we are one, musically." In Russia, state sectors (non-market services) are the main drag on competitiveness. The chart below shows the gap between real wages & productivity growth by sectors, y-o-y growth. Higher values imply that wages are growing faster than productivity. Non-market) services drive decline in competitiveness (wages growth in education health, public services, civil service etc outstripping productivity growth in every year since 2008 and by a huge margin compared to other sectors in H2 2011-present. Trade sectors (agriculture, mining and manufacturing) are facing up to competitive pressures and are showing improvements in competitiveness since the start of 2011 despite general labour markets tightness. Non-tradable sectors (market services, construction, transport, etc) are showing increasing rate of decline in competitiveness in line with the rest of economy. However, the deterioration rates are shallower than those recorded in 2009-2010. However, we can also look at quarterly data and extend the series to cover periods before IBF data became available. Based on CSO's heavily lagging (the latest we have is Q3 2013) series for House Loans Approved and Paid and extending it with IBF data for Q4 2013, we have data on the issue of number of loans approved and their value from Q1 1975 through Q4 2013. We can also use January-February 2014 data from IBF to estimate Q1 2014 with relative accuracy. The argument is that January-February data and indeed data for the later part of 2013 shows improvement in the markets, and even recovery in the markets. In the last 2 quarters, based on IBF data, there were around 4,510-4,530 house loans approved. This represents 8th lowest quarterly result for the entire history. This also represents lower levels of lending than in Q2 and Q3 2013. Prior to the onset of the crisis, there is not a single quarter on record when there were fewer new loans issued by numbers. In terms of volumes of lending, without adjusting for inflation, things are only marginally better. Volume of lending over Q4 2013-Q1 2014 averaged at EUR809 million per quarter. 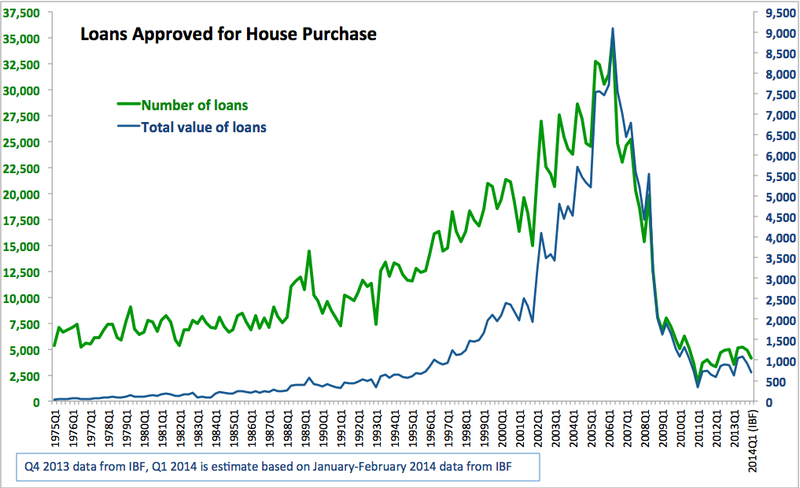 This is comparable (but slightly lower) than levels of lending attained in Q4 1995-Q1 1996. As you can see from the chart, you need to have pretty vivid imagination to spot any recovery in the above series. 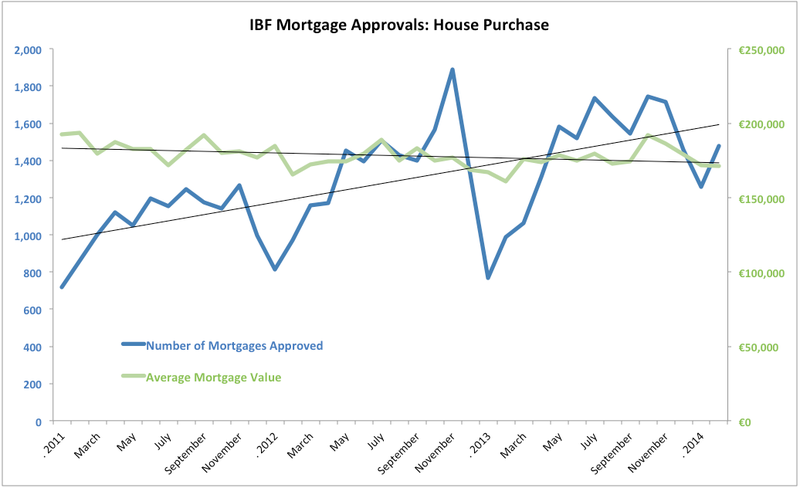 There were some boisterous reports in the media today about the latest IBF data on mortgages approvals in Ireland, covering February 2014. Here are the facts, some of uncomfortable nature for the 'property markets are back' crowd. Year on year, mortgages approved for house purchases rose 49.5% which, on the surface, is a massive nearly 50% jump, suggesting huge improvement in the markets (see below on this). 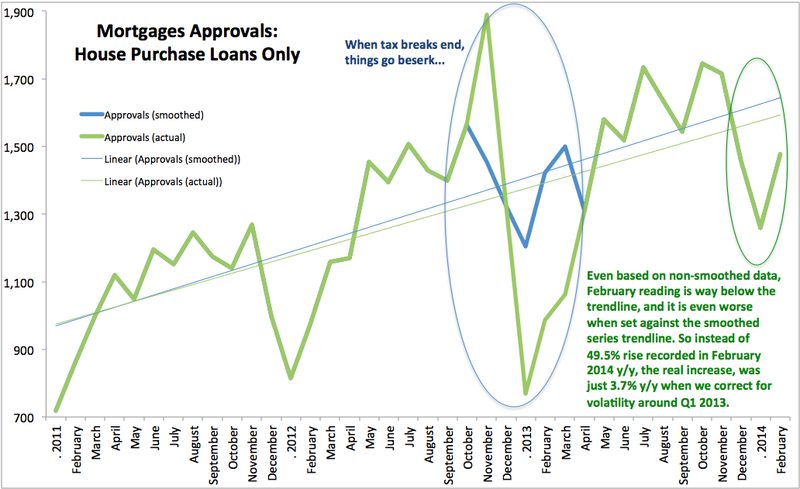 However, 3mo average approvals through February 2014 are down 16.2% on 3mo average approvals through November 2013. Which suggests that things are still running slower in recent months than they did before. Top-up mortgages approvals have declined: down 6.6% y/y and down 27.3% on 3mo average basis compared to previous 3mo period. Average value of mortgage approved for house purchase is up 6.5% y/y, but it is down 5.4% for 3mo average through February, compared to 3mo average through November 2013. So mortgages being approved do not support price increases in recent months. Or put differently, mortgages being approved afford lesser LTVs on homes. Number of new mortgages approved is running well below the trend, so improvement in February is driven by something other than market growth. Instead, it is driven (as argued below) by extraordinary volatility in approvals around the end of 2012 - beginning of 2013, which was down to expiration of tax breaks at the end of 2012. Average mortgage approved is on-trend and the trend is down not up. So things are getting worse, not better. 3mo average through February 2014 was down 20.9% on 3mo average through November 2013. In fact, February 2014 lending was the second lowest level over 10 months, with the worst recorded in January 2014. The start of this year is worse than any 2 months period since January-February 2013, which were distorted by end of tax break in 2012 and stripping these out, this years first two months are the worst since May 2012. February 'improvement' puts us below trend and within the general trend direction, so the reading is weak, but consistent with upward trend. 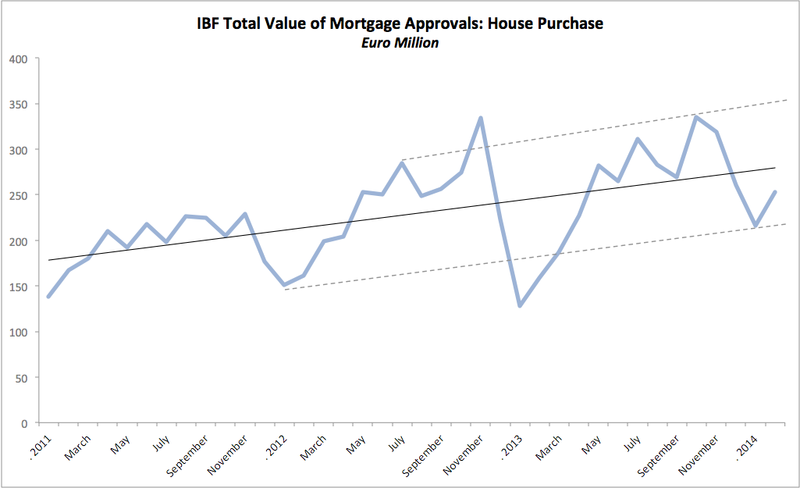 Statistically-speaking, all of the massive increase y/y in lending for house purchases in Ireland recorded this February is down to huge distortion generated in the data by the end of tax breaks in December 2012. There is no other story to tell. 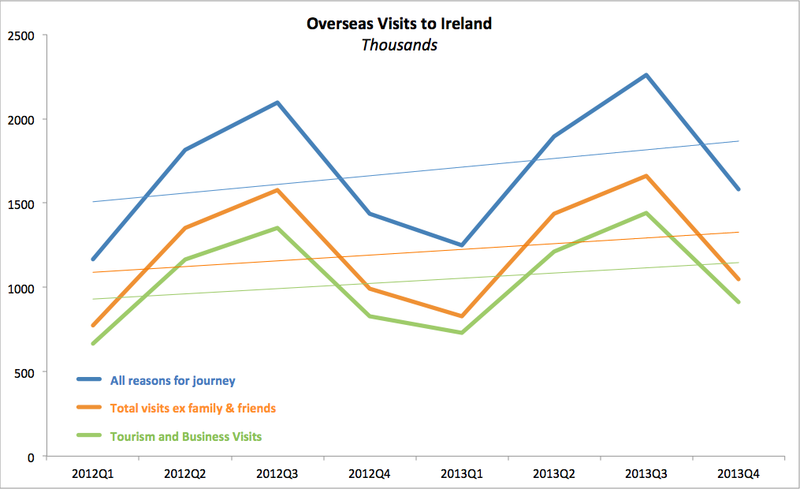 Here is the data for Overseas Tourism and Travel for Ireland for Q4 2013 and full year 2013. Please note: due to changes in data reporting, we only have 2012 and 2013 figures as comparatives. Note: key takeaways are summarised at the bottom of the post. In 2013, overseas travellers to Ireland spent EUR3,262 million on their stay and fares, which is 11.9% higher than in 2012. In Q4 2013, the rise y/y was 6.9%. Air fares paid into Irish carriers rose only marginally in 2013 compared to 2012 - up by just 0.9% to EUR864 million. This means that bulk of increase came from non-transport spend. Total overseas tourism and travel earnings rose 9.4% y/y in 2013 to EUR4,126 million. It is worth noting that Q4 2013 y/y rise was 3.7%. Key takeaway: these are positive numbers, indicative of a recovery in the sector and supportive of the data on employment growth in the sector. 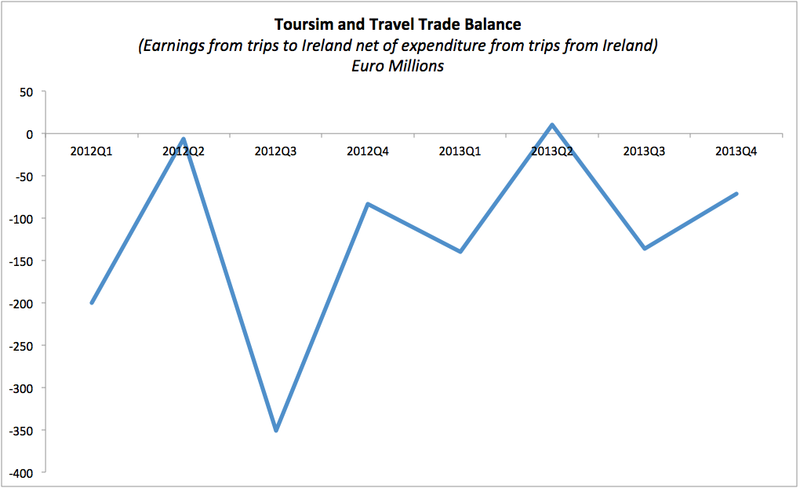 Tourism and Travel Balance - trade balance computed by netting out overseas tourism and travel expenditure by irish residents abroad - registered a deficit of EUR337 million in 2013, which is a significant improvement on deficit of EUR640 million in 2012. Total number of overseas visitors to Ireland rose to 6,986,000 in 2013, up 7.2% y/y. Q4 2013 also registered a rise of 9.9%. However, increases in visits to friends/relatives - those including visits by return emigrants - rose 10.8% y/y to 2,014,000. In other words, 42% of the total rise in number of visitors was accounted for by potential visits by Irish emigrants. Business visitors numbers posted a weak increase, despite big inflows of EU officials traveling to Dublin during the Presidency, rose only 5.1% from a low base. 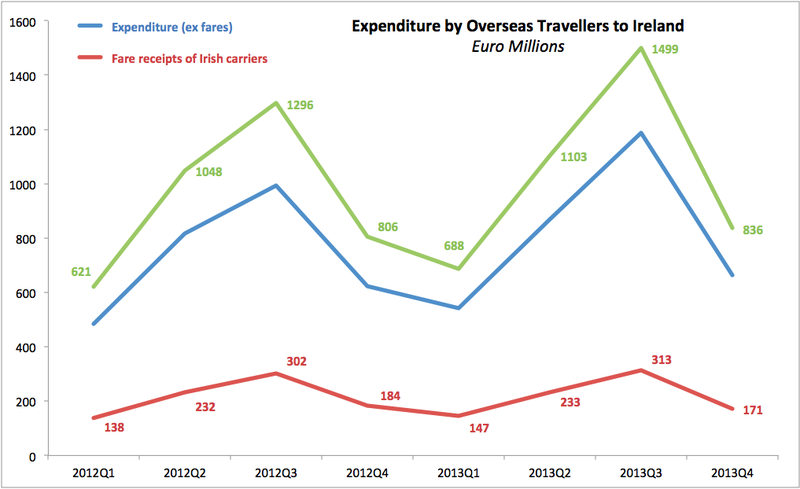 This increase accounted for only 12.8% of the total increase in overseas visitors. In fact in the last six months of 2013 (after the end of our presidency) the number of business visitors to the country fell 9.3% compared to the same period of 2012. The evidence clearly does not support claims of improved business activity. Visitors numbers for the purpose of holiday/leisure/recreation activities rose 8.0% y/y in 2013 to 3,059,000. This is good, but it is less robust than the aggregate numbers. Thus, total visitors numbers excluding visits to family and friends reached 4,972,000 in 2013 which is up 5.8% y/y/. Key takeaway: Good news is that visitors numbers are growing. Less positive news is that growth in the numbers of visitors for leisure and business purposes is growing much slower than the headline 9.9% figure cited by everyone is concerned. 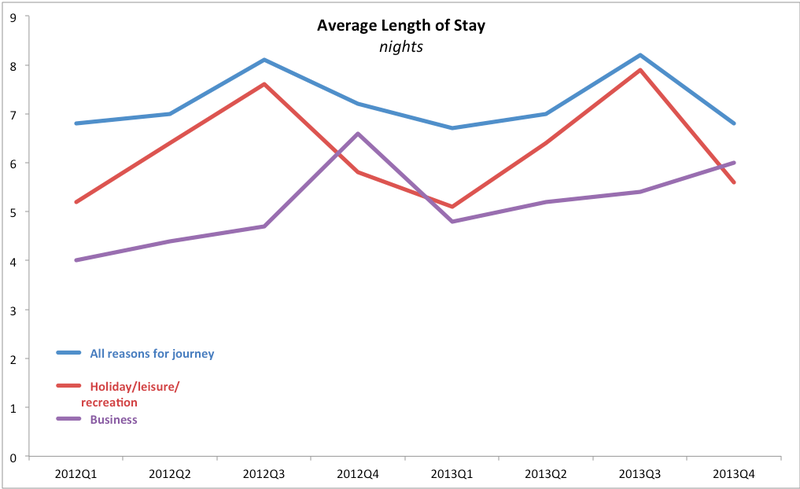 In 2013, average duration of stay by visitors for all reasons for journey averaged 7.125 days, which is down on 7.275 days for 2012. In Q4 2013, average duration stood at 6.8 days against 7.2 days in Q4 2012. Thus the decline in average length of stay is not due to shorter-term visits associated with official travel during the Presidency. In fact, business trips duration averaged 5.35 days in 2013 - up on 4.925 days in 2012. Holiday and recreation trips duration average remained static in 2013 at 2012 level of 6.25 days. So the entire decrease was down to visits to friends and relatives shrinking from 7.325 days on average to 7.2 days. Key takeaway: people are traveling more, and staying roughly the same amount of time. Overall average spend per visitor to Ireland stood at EUR581.07 in 2013, up 1.58% on 2012 levels - which is a weak increase. In Q4 2013 average spend actually fell 5.6% y/y. Excluding air fares, average spend rose 3.8% y/y to EUR420.89 in 2013 compared to 2012. 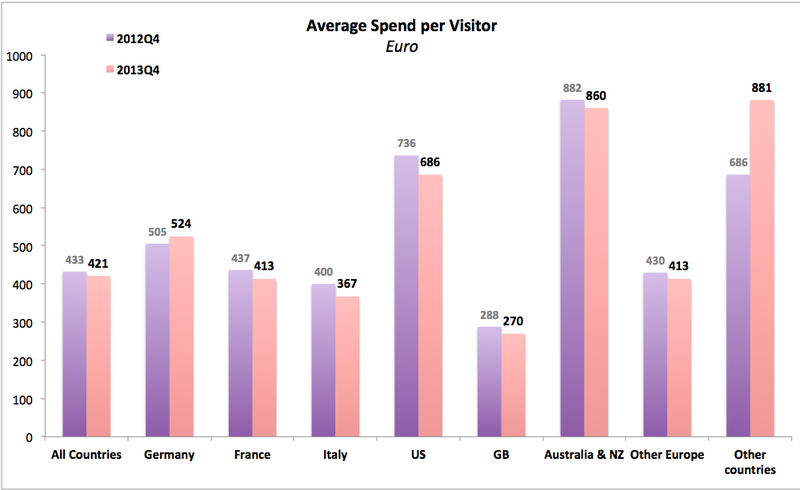 Of all countries tracked, decrease in visitors was recorded only for Italy. Largest increase (full year figures) was recorded for visitors from Great Britain (accounting for 33% of the total rise and 42% of all visitors to Ireland)a and the US (accounting for 30.1% of total rise in visitors numbers and 16.6% of all visitors to Ireland. Smallest increase (as opposed to drop) was recorded for visitors from Other countries (excluding GB, US, Australia & New Zealand, and Rest of Europe. In terms of average spend, chart below summarises for Q4 2013 compared to Q4 2012. Visitors from 'Other countries' have now overtaken visitors from the US in terms of per-person spend on their trips to Ireland. 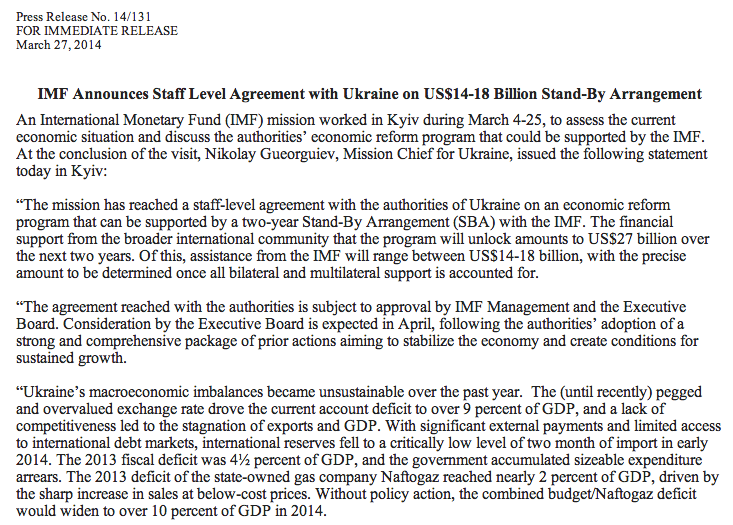 IMF announced the agreement to provide USD14-18 billion in Stand-by Arrangement with Ukraine. 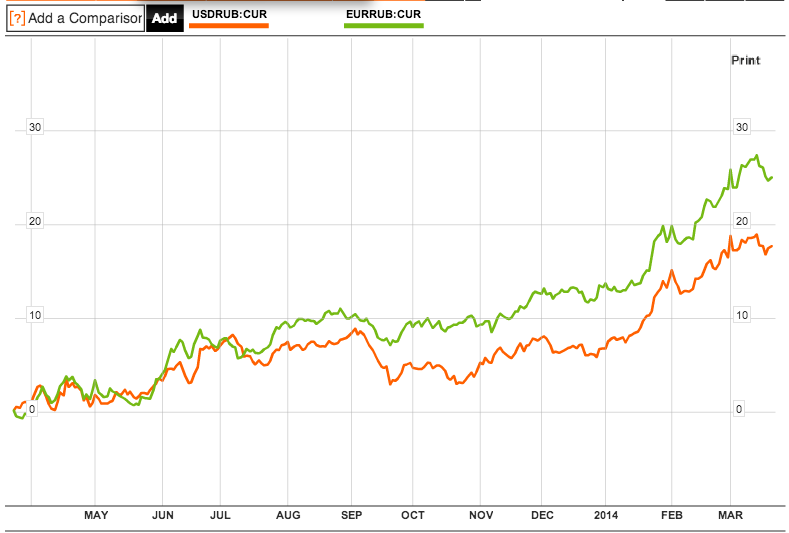 “Ukraine’s macroeconomic imbalances became unsustainable over the past year. The (until recently) pegged and overvalued exchange rate drove the current account deficit to over 9 percent of GDP, and a lack of competitiveness led to the stagnation of exports and GDP. With significant external payments and limited access to international debt markets, international reserves fell to a critically low level of two month of import in early 2014. The 2013 fiscal deficit was 4½ percent of GDP, and the government accumulated sizeable expenditure arrears. The 2013 deficit of the state-owned gas company Naftogaz reached nearly 2 percent of GDP, driven by the sharp increase in sales at below-cost prices. 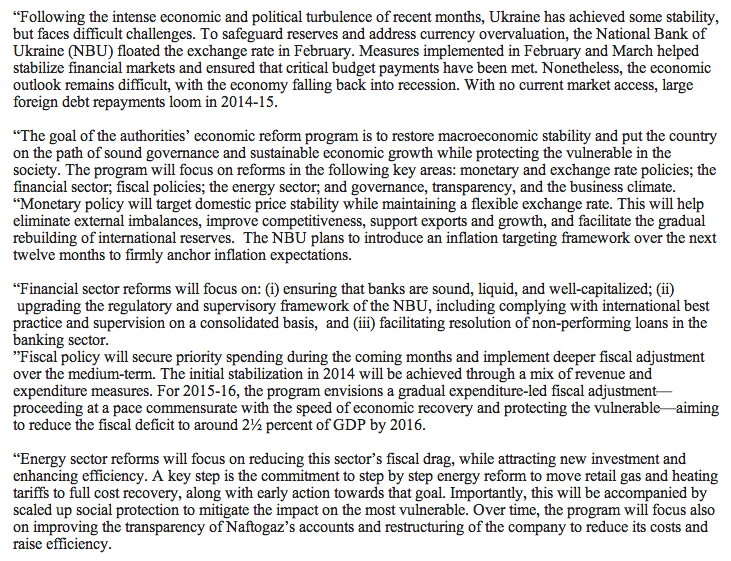 Without policy action, the combined budget/Naftogaz deficit would widen to over 10 percent of GDP in 2014." So in other words, 2013 combined deficit was around 6.5% of GDP, but 2014 deficit - following 'some stabilisation' (see below) is to reach 10% of GDP. I wonder why?.. Is it down to expected price increases on gas and oil? Or is it down to the havoc wrecked by Maidan protesters? It is certainly not down to the Crimean crisis, since removal of Crimea off Kiev's books should save the Ukrainian Government money. “Following the intense economic and political turbulence of recent months, Ukraine has achieved some stability, but faces difficult challenges. To safeguard reserves and address currency overvaluation, the National Bank of Ukraine (NBU) floated the exchange rate in February. Measures implemented in February and March helped stabilize financial markets and ensured that critical budget payments have been met. Nonetheless, the economic outlook remains difficult, with the economy falling back into recession. With no current market access, large foreign debt repayments loom in 2014-15." 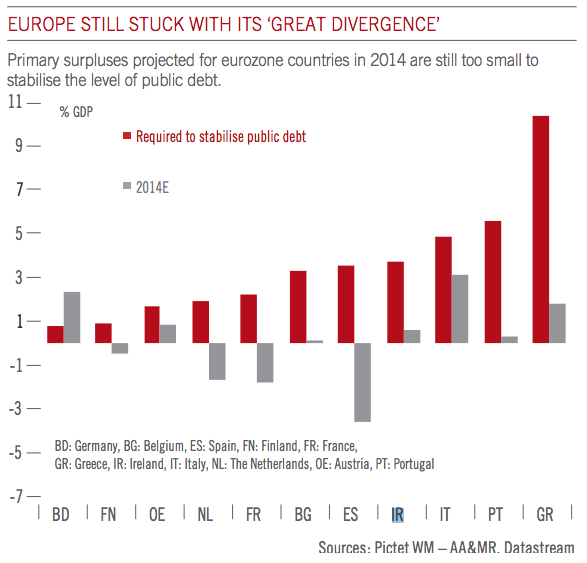 Now, key question here is why is Government deficit rising if currency is being devalued? Especially as official debt levels in the Ukraine are relatively low? 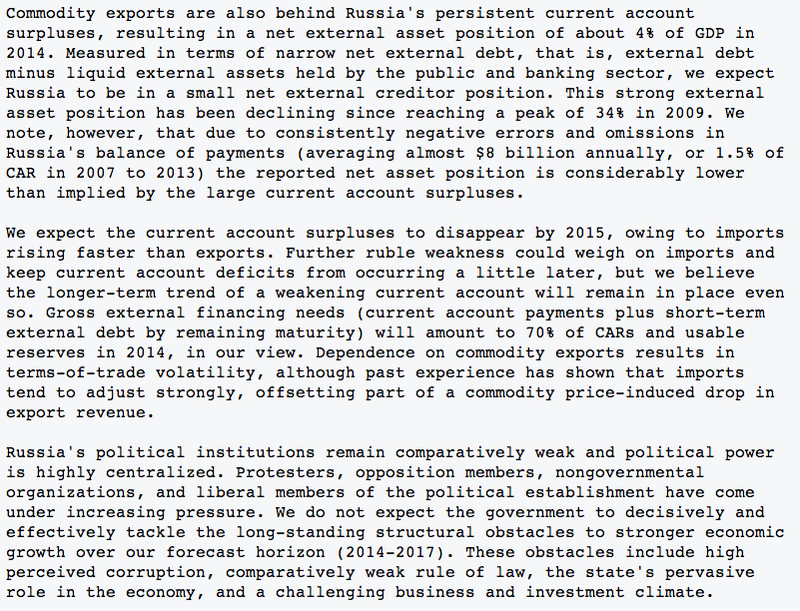 Is it because Ukraine running huge current account deficit (even with subsidised prices for Russian gas)? 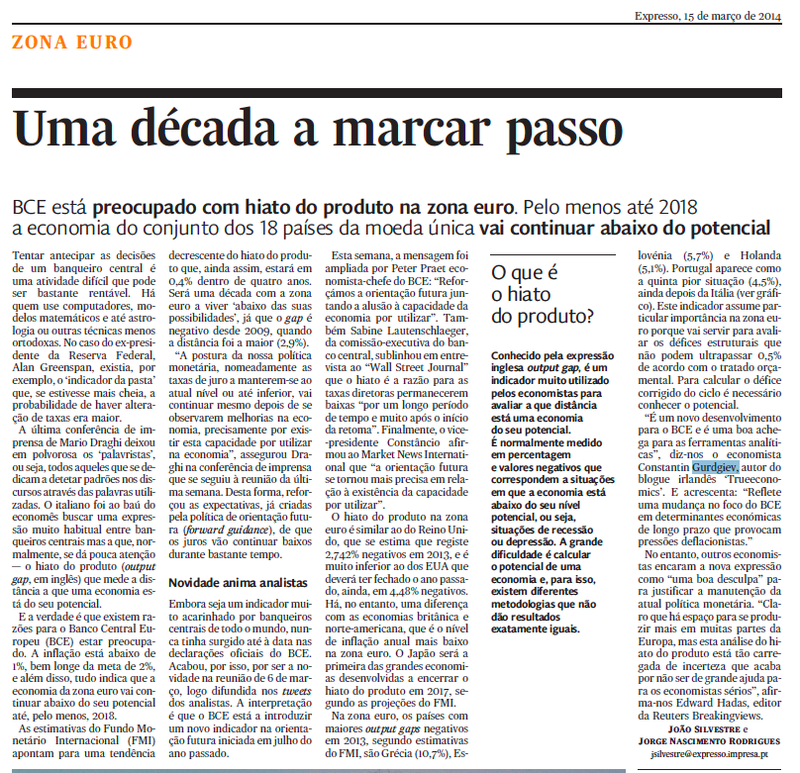 "Monetary policy will target domestic price stability while maintaining a flexible exchange rate. This will help eliminate external imbalances, improve competitiveness, support exports and growth, and facilitate the gradual rebuilding of international reserves. The NBU plans to introduce an inflation targeting framework over the next twelve months to firmly anchor inflation expectations." This is pure nonsense. Devaluation is bound to drive inflation up. Rebuilding economy will require lower interest rates, which will further support high inflation. 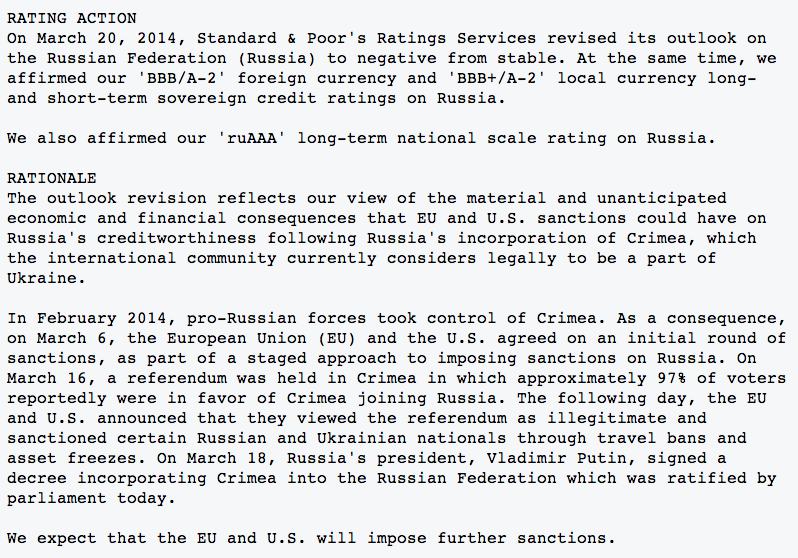 What on earth can NBU do to set price stability as its objective? Dollarise the economy? Tried and failed in the form of pegs, and given the role of Maidan (populist movement) how can vast amount of pain be inflicted on the economy to drive price inflation to reasonable bounds? "Financial sector reforms will focus on: (i) ensuring that banks are sound, liquid, and well-capitalized; (ii) upgrading the regulatory and supervisory framework of the NBU, including complying with international best practice and supervision on a consolidated basis, and (iii) facilitating resolution of non-performing loans in the banking sector." The above reads like a Cyprus-Greece scenario. Good luck finding Russian oligarchs to hit with a deposit tax. "The initial stabilization in 2014 will be achieved through a mix of revenue and expenditure measures. For 2015-16, the program envisions a gradual expenditure-led fiscal adjustment—proceeding at a pace commensurate with the speed of economic recovery and protecting the vulnerable—aiming to reduce the fiscal deficit to around 2½ percent of GDP by 2016." Yes, I know… it is… austerity. Higher taxes, lower spending, followed by lofty lower spending and lower spending. I think we shall recall that the current Government has been installed into place by the populist uprising. "A key step is the commitment to step by step energy reform to move retail gas and heating tariffs to full cost recovery, along with early action towards that goal." Read: 40% hike in domestic gas prices is only the beginning. In conclusion, IMF release focuses on real issues - institutional deficits in terms of governance, corruption, procurement, transparency. All are laudable and much needed. Overall, the reforms sketched out above are likely to lead to another Orange/Maidan Revolution in few years time and the funding that backs them is unlikely to provide support for political stabilisation. Let's wait for more details on the above points. "Ireland is facing pressure to offload the long-term government bonds it issued as part of last year’s promissory note deal and at a faster pace than the timetable originally outlined, amid continuing concerns from the European Central Bank about the deal. The ECB is reviewing the controversial promissory note deal as it prepares to publish its annual report for 2013. … A crucial aspect of the promissory note deal agreed last year after months of negotiations was the length of time the Central Bank would hold the long-term bonds that replaced the promissory notes." I have consistently argued that promo notes restructuring represented the perfect target for debt relief for the state. One example is here: http://trueeconomics.blogspot.ie/2012/03/2132012-anglos-promo-notes-perfect.html. And I highlighted our 'deal's' sensitivity to earlier disposal of bonds here: http://trueeconomics.blogspot.ie/2013/03/2332013-sunday-times-10032013.html (see bottom of the article for box-out). 24/3/2014: Russian Roulette or a Wheel of (Risky) Fortune? 1) More theatrics or threatatrics: so far the sanctions delivered amount to not much more than a buzz of a mosquito in the June midnight - weakly threatening, largely painless. In fact, current state of sanctions-for-Ukraine play is causing no impact on the real economy of Russia, although financial markets are showing their usual propensity to panic. The problem, however is that the current sanctions pretty much exhaust the list of political sanctions possible: selective travel bans and individual restrictions on two banks and a handful of banks accounts can be expanded in size, but to shift sanctions to the next level of pain will require disrupting trade flows. Thus, the EU/US are now holding their mild trump card of more broadly-based sanctions and this is weighing on the Russian markets through heightened uncertainty channel. Will Russia stay out of Eastern Ukraine? My view here is that it will. We are more likely at the end of the game, than in the opening rounds. 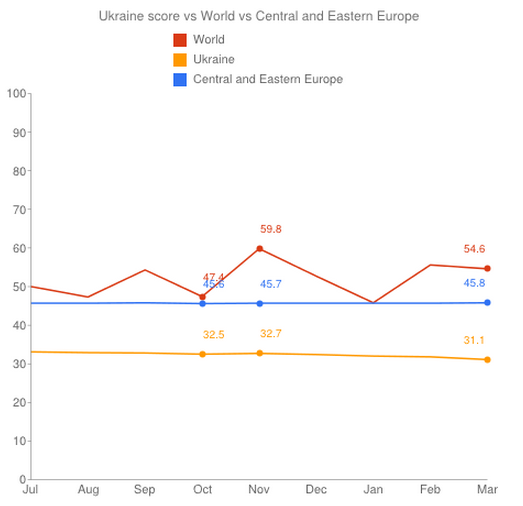 Will Eastern Ukraine stay calm with no acceleration of currently rather subdued protests by pro-Russian groups? My view is that this is the key threat and that despite the West's firm belief to the contrary, the Kremlin has little control over the situation on the ground when it comes to the pro-Russian protesters. Thus, the real uncertainty here is whether or not Eastern Ukrainian opposition and Kiev Government will be able to refrain from forcing Moscow's hand. 2) Over the next few months, assuming no escalation in the conflict, we can expect gradual reduction in political risks and a swing in markets pricing of risks. Currently, markets price risks asymmetrically, to the upside. 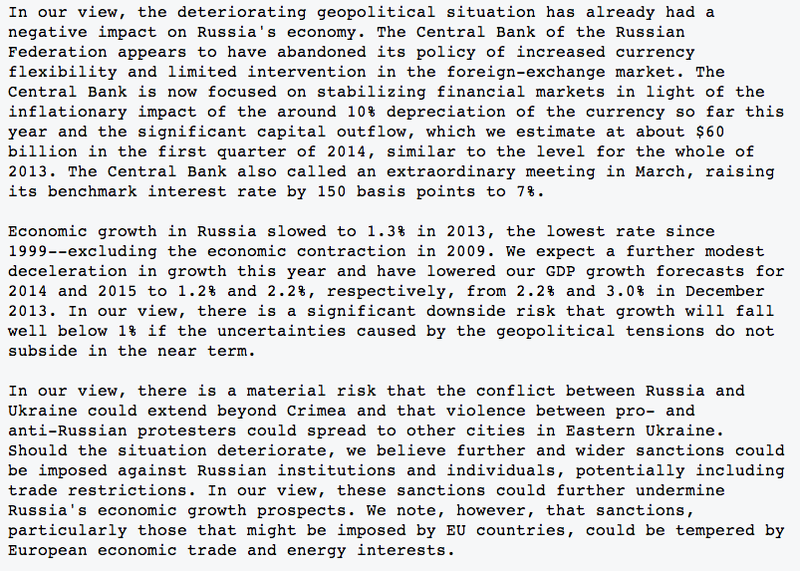 This means that any adverse newsflow will trigger a broad sell-off in Russian indices. If there are any signs of political normalisation, especially tied to bilateral risk declines on both Ukrainian and Russian sides, the markets will start pricing risk to the downside and indices can rally even on weaker news. The next two points discuss the catalysts for such switch in risk pricing. 3) Ukraine is about to start dealing with the problems of state and economic collapse. This will involve, first and foremost, the discussions with the IMF, EU and US on the financial bailout. Given the role Russia plays in this (Ukraine owes Russia significant amounts against Government borrowings and gas arrears, Ukraine is hugely dependent on Russian markets for supply of energy and major inputs into industrial production, and demand for its exports) this process is bound to start drawing Ukraine into more cooperative mood vis-a-vis Russia. Russia also holds a major trump card against Ukraine in the form of gas prices. Comes April 1, Ukraine will lose its gas discounts from Gasprom and will be facing a tariff of some USD480-500 per mcm of gas from current pricing around USD268 per mcm charged since January 1. Kiev has already warned that Ukraine's domestic retail prices for gas will have to rise some 40% in order to fulfil conditions for the IMF bailout. 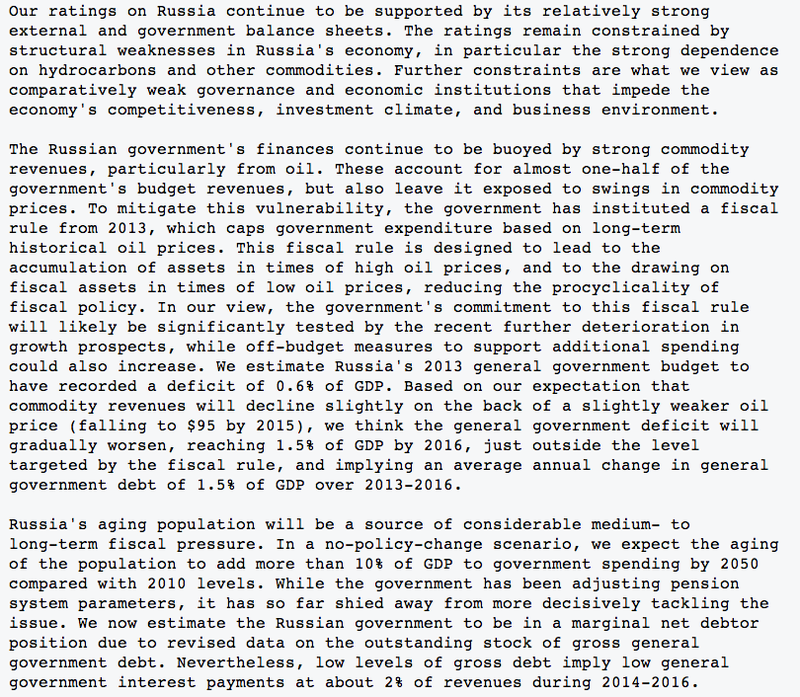 All of this means that any bailout talks will have to involve Kremlin. And this, in turn, means that bailout talks can act as a catalyst for enhanced cooperation and de-escalation of both the conflict and the sanctions rhetoric. 4) Second stage is longer duration - as it involves political normalisation in the Ukraine. The core catalysts here will be presidential (May 25th) which may drag out into the second round (less likely) and possible late 2014-early 2015 Parliamentary elections. Given the size of the political risks discount on Russian markets, May elections should be a catalyst for the upside, although volatility will remain through the summer as new Presidential administration in Kiev starts re-asserting its role over the current Government and as the discussion on the future of presidential powers will start building up. Strong investor stomach to weather incoming volatility. Am I alone in this call? Not exactly. 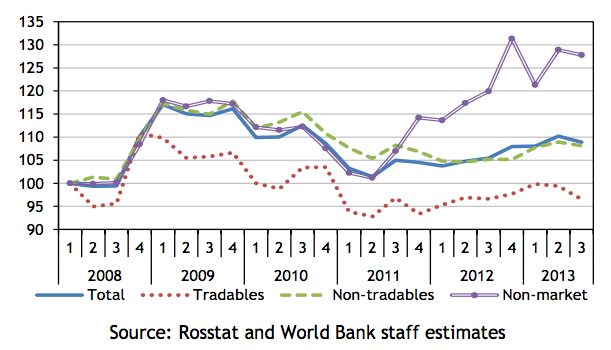 Current valuations multiples on Russian stocks are at the levels last seen at the height of the 2008 crisis. 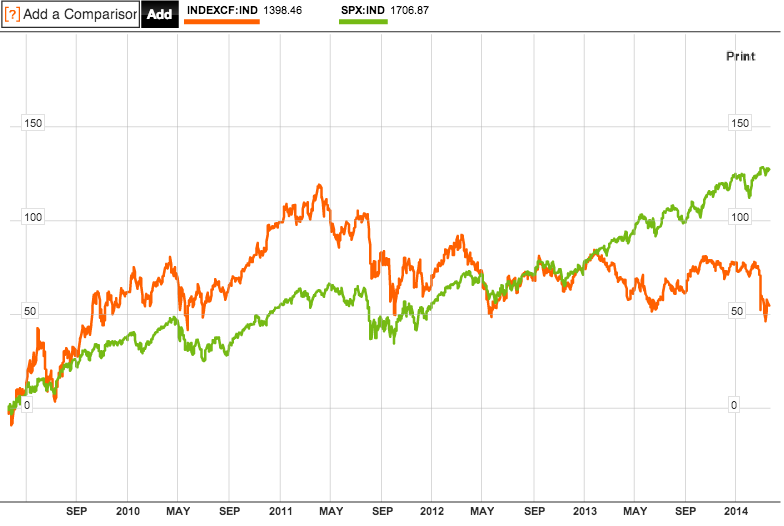 By CAPE (price to 10 year average of earnings ratio), Russian equities are currently second lowest valued, after Greece. Russian core indices currently trading at around 4.8 times earnings, just over 1/3 of Indian markets valuations and just over 1/2 the P/E ratios for Brazil’s Ibovespa. Weaker ruble favours stronger current account surplus and higher domestic earnings for companies, meanwhile high oil prices alongside the said weaker ruble favours stronger fiscal performance, giving upside to the probability of the federal government stepping in with a stimulus. Of course, ruble is probably set to lose some more ground on the USD and Euro, but it is hard to see it moving much more down. On the economy side: growth is slowing, with 2013 coming in at lowly 1.3% GDP expansion delivered by shocks to inventories and weak fixed investments. This year, pricing in the risks to-date and a good portion of potential risks forward, the economy should generate GDP growth of just 1.0%. A rapid rebound in H2 might push that to 1.5%. Both still shy of the late 2013 projections of 2.5-2.7% expansion. January 2014 fixed investment growth was negative 7% y/y against +0.3% in December 2013. All you need for some of the above to start rising fast is: political risks abatement and dividends uplift. Political risks are talked-through above. So to dividends: in 2013, Russian equities were the fastest growing dividend generating market in the Emerging Markets and Putin has been actively pushing Russian listed companies to up their dividend payouts to 35% of their net income. 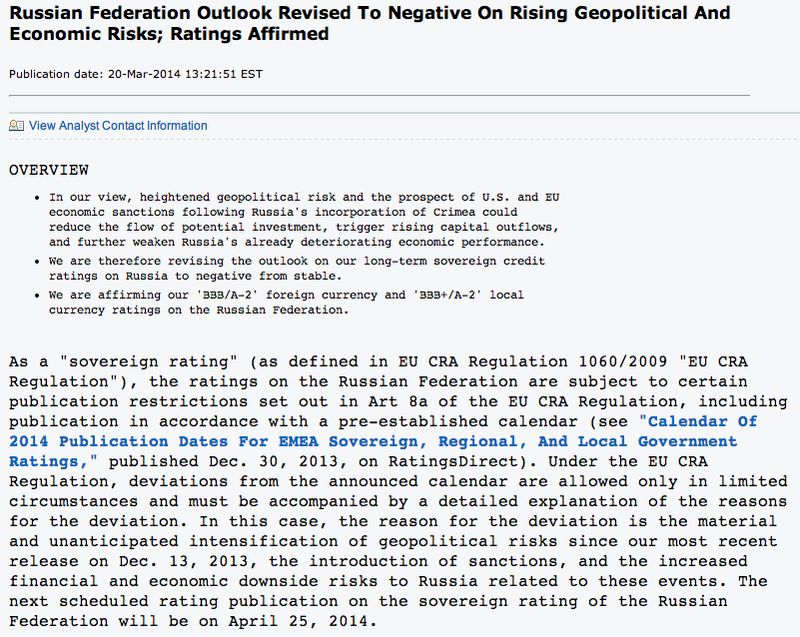 23/3/2014: About that 'kicking' Russia out of G8?.. Much talk about sanctions, punishment and pain for Russia... and one of the cornerstones of these is the idea of 'isolating' the Kremlin. Step one in this direction was the 'suspension' or 'temporary suspension' of Russia's membership in G7+1=G8 group of countries that represent, allegedly, the largest and most powerful states/economies in the world. Except they do not do such a thing. Today. And they will not do so in the near future either. Here are two charts, plotting, in current US dollars, GDP of the top 20 nations. Black bars represent countries that are 'permanent' members of G7. So as of now (well, end of 2014) Canada and Italy are not in G7 nor in G8, and indeed both make it into G10 by a whisker. 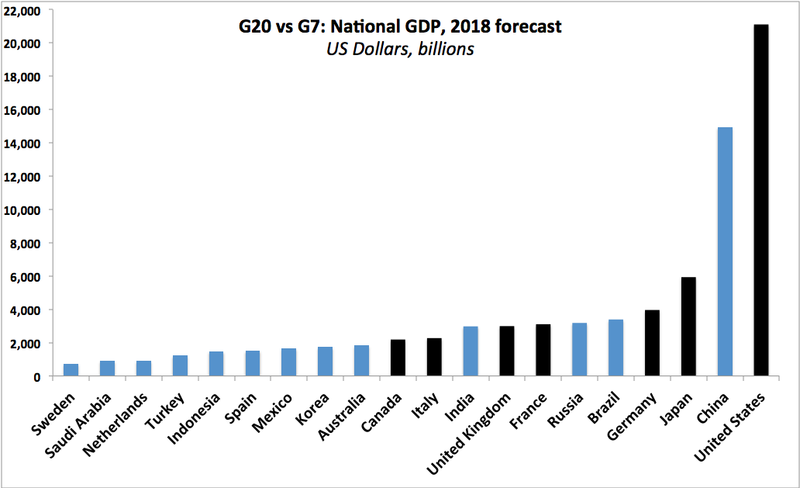 And so in very near (in economic and geopolitical terms) future, 3 of the current G7 members will not be qualifying for G7 membership based on economy size, and Canada won't make it into G10. 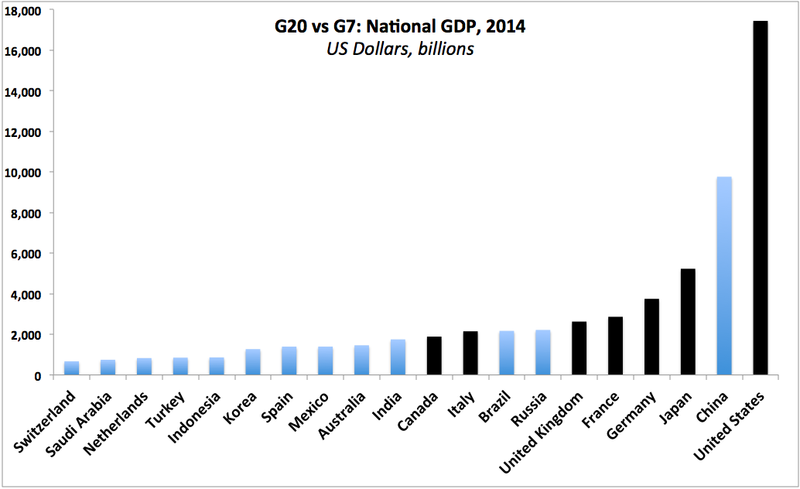 Instead, of course, the G10 (no, we do not need G7) should include today India, Brazil, Russia and China. If you are to make a club that stands for anything other than being the economic Gerontology Central, you do need to extend it to those countries that matter. One way or the other, kicking Russia out of G8 makes about as much sense as keeping Canada and Italy in G7. G8 is not a club where they drink fancy aperitifs and discuss latest Sotheby's sale. It is a club where the largest nations deal with real issues (allegedly), so China, Russia, Brazil should be in, and Canada and Italy should be out. It has been now some time that I have posted last my once regular WLASze: Weekend Links on Arts, Sciences and zero economics. The break was partially self-imposed and partially a necessary response to constraints of time. The latter is easily understood, The former might not be. I found myself too bound by a formulaic search for 'new' items to cover. Something that game me pleasure of looking through pages and pages of arts and sciences related posts, yet drive me into less contemplation of works I covered and more into covering… not a good place to be. So as I am re-thinking this post format, and yet want to return with its substance of bringing forward interesting notes on arts and sciences, here is a shorter version of the post. Enjoy. Schumacher is curating this years Biennale and his argument is that "Architects are in charge of the form of the built environment, not its content, " and that as such it is not "a l’art pour l’art" discipline. Provocative? Yes. On both points. But is it true? Is form a near-utilitarian and objective aspect of aesthetic or is it also an artistic expression? Or more strongly put - is it more of an artistic expression than a utilitarian aspect? Schumacher opines: "We need to understand how new forms can make a difference for the progress of world civilisation. 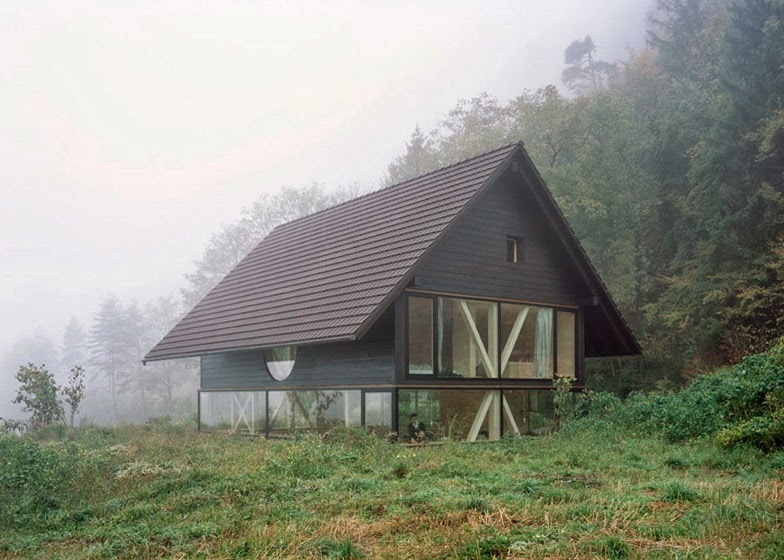 I believe today this implies the intensification of communicative interaction with a heightened sense of being connected within a complex, variegated spatial order where all spaces resonate and communicate with each other via associative logics." Sorry, but is that not the essence of constructivism as well as, stripping out subjectivity as an expression (not the driver), also Kandinsky's theory of abstraction? 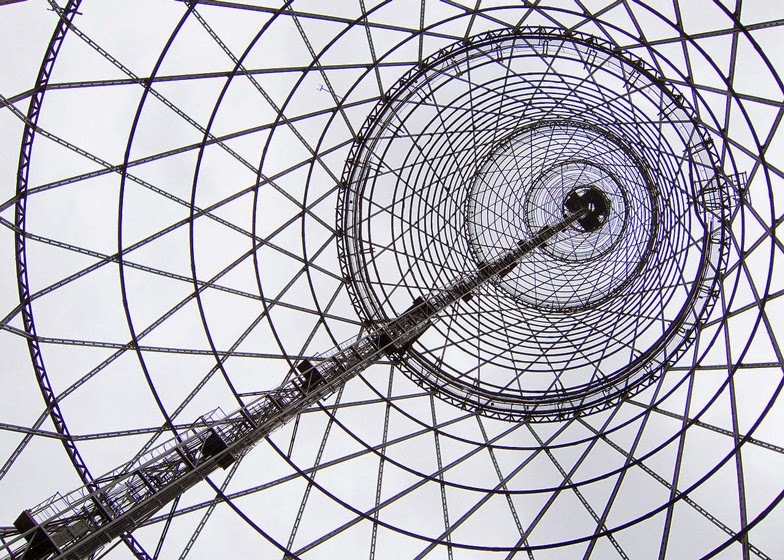 And a good expression of this interaction between spatial order, resonance and communication (on so many levels that some might imply a pun) would be constructivist Moscow's Shukhov Radio Tower. There is way more to this tower than just 'form' or connection with a spatial order alone. Instead, there is subjectivity that transcends logic. Point and line in a multinational plane. Of countries covered only Hungary expressed more than 50% preference for either formation of a single European Government or enhancing powers of the EU. 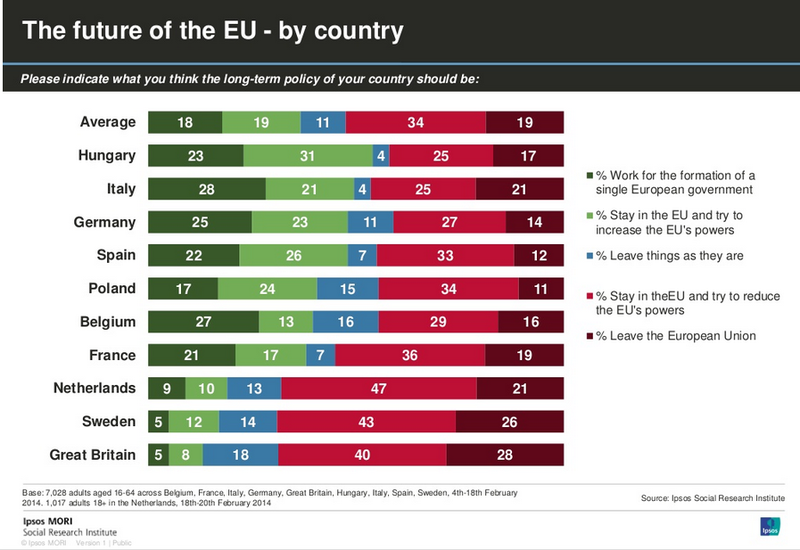 There was, on average, and across Poland, Belgium, France, Netherlands, Sweden and Great Britain stronger preferences for scaling back the EU powers than for expanding them. While it is easy to discount the UK preferences, Poland, Belgium, France, Netherlands and Sweden all showed very strong distaste for any further expansion of the EU powers. The Netherlands and Sweden were, in fact, virtually indistinguishable from Great Britain. And do note 'best in the lot' country of Ireland against the 'laggard' Italy... One wonders, how Messrs Kenny & Noonan are going to plug that gap while delivering tax cuts and jobs programmes?.. While sanctions against Russia have been pretty much anodyne to-date in direct economic impact terms, there are indirect effects worth considering that are worrying from the economy's perspective. Some of these are boiling down to capital flight vs inflows of funds from external balance of trade. While we do not have full Q1 2014 data in what we do know is that outflow of capital has accelerated on Ukraine/Crimea news. Here's one report putting full year 2014 estimates at USD130bn so far, double 2013 recorded official outflows: http://www.themoscowtimes.com/business/article/goldman-puts-2014-capital-flight-at-130bln/496228.html. And the Central Bank has so far promised not to impose controls on outflows: http://www.reuters.com/article/2014/03/18/us-ukraine-crisis-capital-idUSBREA2H0NH20140318. On the current account side, so far, there should be little impact. Gas flows to Europe not only remained un-impacted by the Crimean crisis, but through March 10th, these actually averaged a rise month-on-month, from around 440 thousand cubic meters per day in 2013 to around 476-477 thousand cubic meters. But the problem is that much of shipments via Ukraine is currently accumulating in the arrears account, which is hard to close in the environment of a crisis. Should Ukraine default on payments to Russia or delay these significantly, the current account side of the above funds flows will be hammered. In 2013 alone, absent the standoff in Crimea, Ukraine's unpaid arrears to Gasprom stood at USD3.3 billion. This was partially covered by a payment of USD1.28 billion made on February 14th, with current arrears of USD1.99 billion still outstanding for the balance on 2013, plus January-February 2014. The overall arrears on Naftogaz (Ukraine's state gas imports agency) are a problem and are likely to feature in the IMF funding deal to be struck before the end of this month. Whether or not the IMF forces Ukraine to default (partially or fully) on its gas imports-related arrears is unknown, but there is some possibility this might happen. 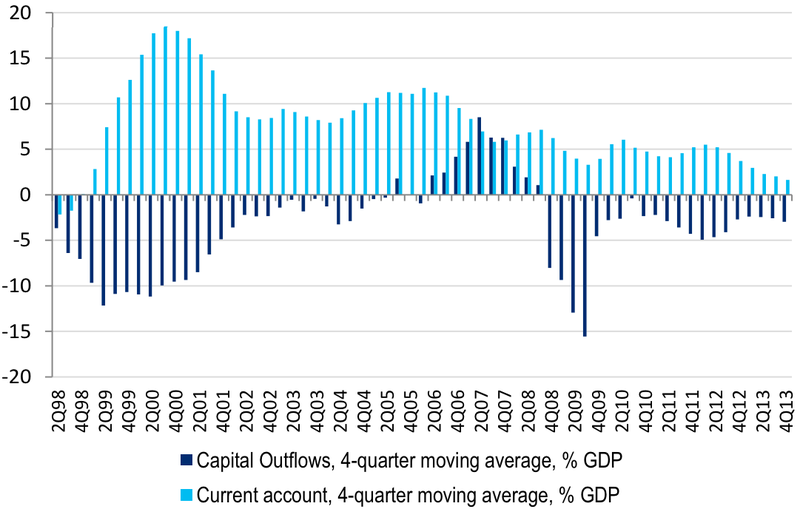 However, as is (above chart), since 2013, Russian current account surplus already no longer covers capital outflows, which explains much of the rouble weakness in 2013 and ongoing weakness in 2014. Gas is far less important to Russian Government revenues than oil: Gas accounts for just around 20-22% of budget revenues. Russian Federal Budget is balanced at oil price of USD115/bbl, which is falling as rouble depreciates, and now probably set around USD110/bbl. Balance of payments is under a greater threat from Ukraine crisis: gas accounts for 14% of Russian exports against 50% for oil and petroleum products. Russia's oil exports are only about 8% exposed to Ukraine's transit (Druzhba pipeline) and shipments are declining (2013 transit of 15.6 million tonnes against 2014 planned transit of 15 million tonnes). Mitigating factor to all of this is the South Stream pipeline which is scheduled to ship 63 bcm of gas cutting Russian exports transit dependence on Ukraine to roughly 50 bcm and is set to become operative around 2015. Which means that all three measures will be tried, with primary emphasis on devaluation. This in turn means that the investment case for Russia is still weak, despite a significant fall-off in equity valuations. Bottom fishing is some time off for investors. 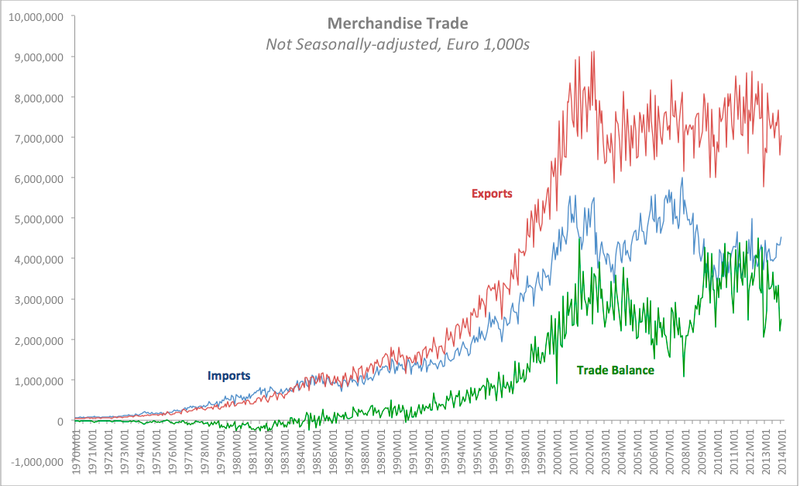 As noted in the earlier post, CSO released new data on Irish merchandise trade, covering January 2014. 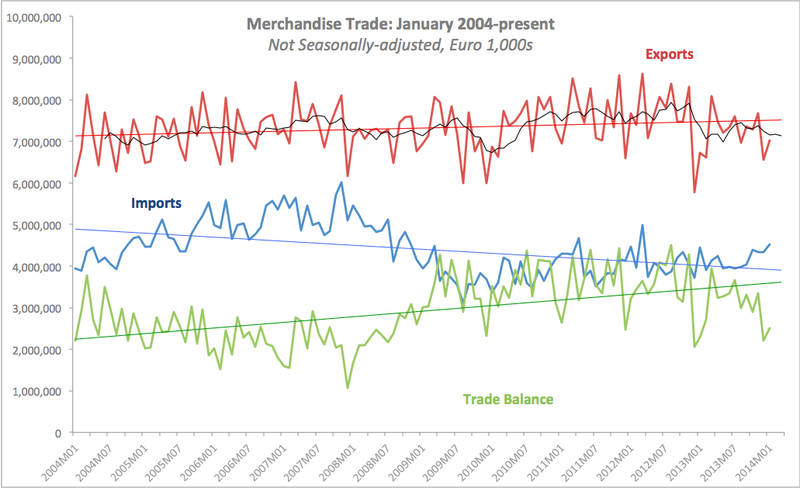 I discussed the validity of the argument that improved competitiveness is a driver of Irish exports here: http://trueeconomics.blogspot.ie/2014/03/1932014-competitiveness-might-have.html and as promised, now will discuss top-level data on trade flows. Total imports into Ireland (goods only) amounted to EUR4.528 billion in January 2014, which is up 1.93% y/y. This is shallower rate of increase in imports than the one recorded in December 2013 (+16.9% y/y). 3mo cumulated imports for the period November 2013-January 2014 were up 8.2% on the same period of 2012-2013. January 2014 marks the highest level of monthly imports since March 2012 and the busiest imports January since 2008. Total exports from Ireland (goods only) stood at EUR7.0306 billion in January 2014, up 4.48% y/y, which is a shallower increase than 13.41% rise recorded in 12 months through December 2013. 3mo cumulated exports for the period November 2013-January 2014 were up 2.05% on the same period of 2012-2013. January 2014 levels of exports are not remarkable by any means possible, representing only the second highest level of January exporting activity since January 2008. 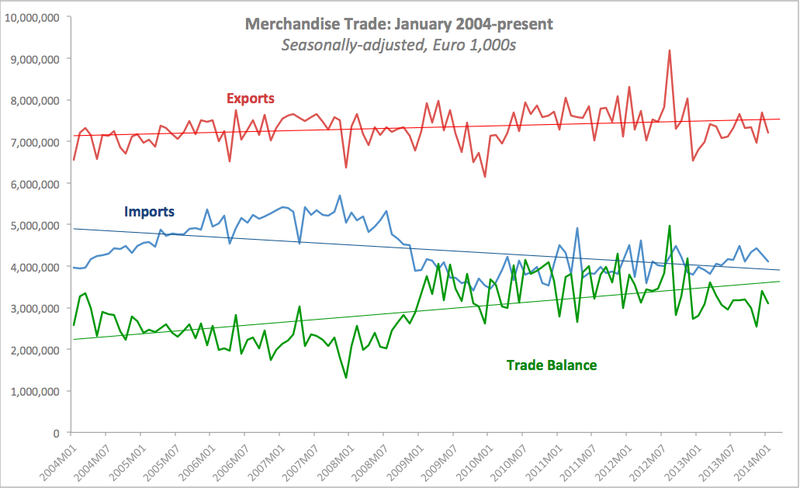 Trade balance in January 2014 stood at EUR2.5026 billion, up 9.42% y/y which is an improvement on December 2013 annual rise of 7.18%. 3mo cumulated trade balance for the period November 2013-January 2014 was down 6.64% on the same period of 2012-2013. In the chart above, notice disappointing performance in exports relative to trend (red line) and to 6mo MA (black line). Also note poor performance of trade balance relative to trend and the seeming breaking out of trade balance away from the trend line down. So exports have risen y/y, primarily due to a truly abysmal January 2012. But exports are still trending below an already virtually flat trend. You might think of this as being a story of some short term improvement, amidst ongoing long term weakness. Note: higher score implies lower risk. Note that current score is 30.43, lower than in the above chart. 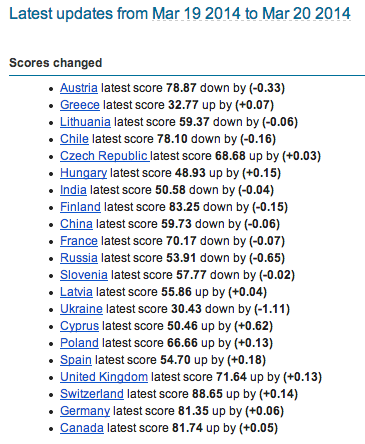 You can see the vast gap between two countries in terms of overall scores. 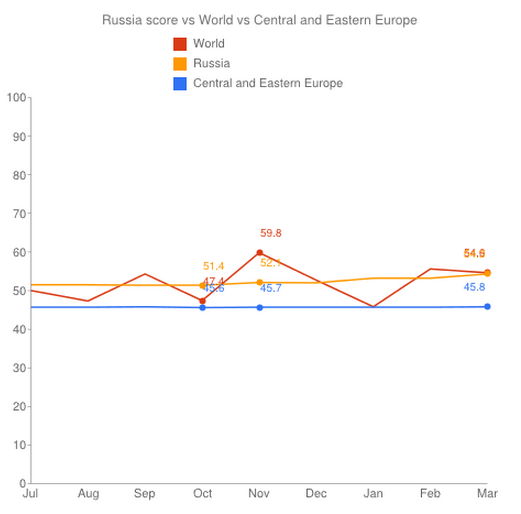 Russia is running (still, even with latest decline) close to the world average and well ahead of regional average, while Ukraine clearly under-performs world and regional averages. In light of today's data on trade in goods (January - see next post for details on this), there has been a lot of claims flying around, including one Ministerial press release extolling the virtues of our 'improved competitiveness' as the driver of growth in exports. 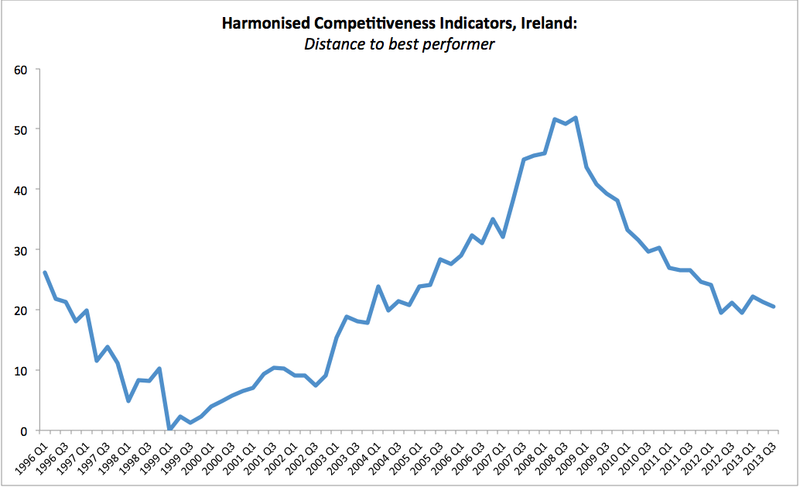 So that improved competitiveness, then... 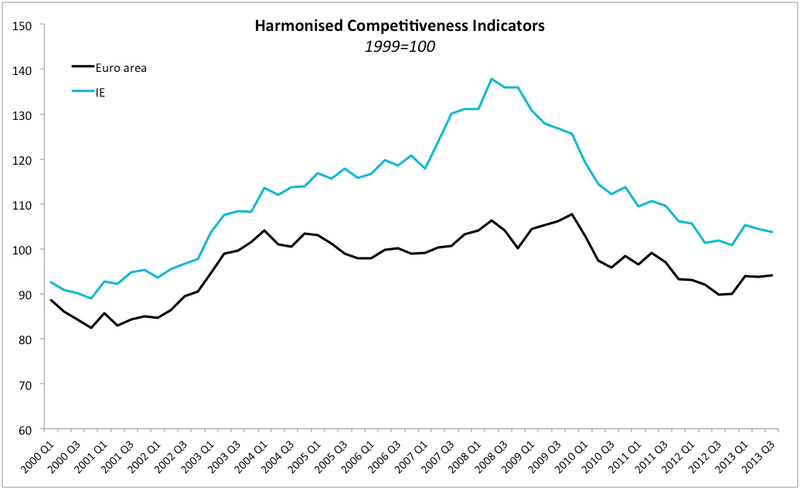 Here are the charts showing Irish Harmonised Competitiveness Indicator based on unit labour costs which are designed to capture relative competitiveness in the euro area economies. Lower values imply higher competitiveness. 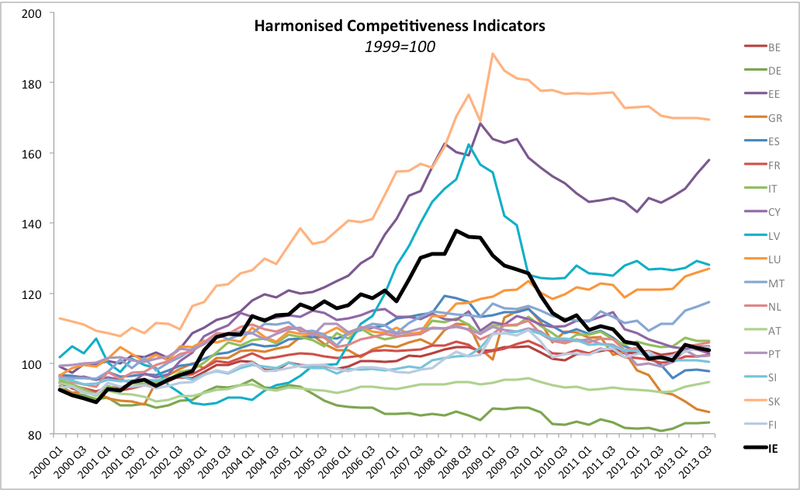 Our competitiveness did improve since the peak in HCI at Q2 2008, but it has deteriorated again in 2013 as the HCI rose from the crisis period low in Q4 2012. Our competitiveness is still lagging that of the Euro area average (black line). We would have to decrease HCI by some 10% more to hit Euro area average, which is about 3 years worth of further wages and costs austerity, if we are to get there. As chart above shows, we are smack in the middle of the euro area distribution. In fact in 2012-2013 we consistently ranked 10th from the top in terms of competitiveness, which is an improvement on 13-134h from the top in 2010-2011, 16th in 2007-2009 etc, etc... Still, we are 10th... which is not exactly a dreamy place to be in, right?.. As I noted earlier, things improved, but the improvement is not that spectacular and we seemed to have lost the momentum there. As above shows, there is statistically no correlation between improving competitiveness (negative values on horizontal axis) and growth in exports of services. There is some statistical link between improved competitiveness and growth in exports of goods (as blue line indicates). But that link is not particularly strong. And this effect is driven by a handful of 'extreme' events such as dot.com bubble of 1999-2000 and the bursting of the property bubble in 2008. Absent these, the explanatory power of HCI changes drops from 26.7% to 14% and the slope of the relationship becomes as flat as that for the services exports. In other words, sorry Minister, competitiveness gains might be all good and positive (I think they are), but these hardly explain much in terms of our exports performance. Crimea is now fully legally incorporated into the Russian Federation and this makes the region's split from Ukraine and accession to Russia irrevocable, no matter what sanctions are being put forward. President Putin's address to joint meeting of Russian Duma and Federation Council raised a number of very strong geopolitical points. The main one being the role played by the Nato expansion over the last 20 years in triggering the latest crisis. Despite this, President Putin clearly extended a proverbial olive branch to Nato and positioned this offer of continued cooperation on the shared interests footing (mutual respect and coexistence with recognition of the legitimacy of Russian 'Near Abroad' sphere of influence). The Crimean crisis was from the start largely a Russia-Ukraine issue. Thus, Western engagement in it became excessively overbearing on the one hand (starting with the EU pushing forward its own Neighbourhood policies toward Ukraine without having any respect for or consideration of the country's massive economic, demographic, cultural and political links with Russia and without engaging constructively with Russia on bilateral basis) and strategically weak and indecisive on the other (with EU offering no constructive platform for a dialogue with either Ukraine or Russia since November 2013). Overall, President Putin's speech was yet another signal to the West that he is ready to consider more constructive engagement and dialogue, and that Russia is not interested in any serious acceleration in the confrontation. The latter point was very clear from the onset of the Ukrainian crisis, not just during the Crimean crisis. President Putin is correct that the Crimean crisis was resolved without any loss of life, in contrast to Bosnia, Kosovo, etc. Putin's speech, by bringing Russia back on track to seek normalisation of its ties with Ukraine and the West, means that Europe and the US are once again being left without any visible strategic alternatives and puts Moscow one step ahead of them in this geopolitical game. Effectively, the US is now firmly stuck in the proverbial corner: it cannot de-escalate vis-a-vis Russia and it cannot accelerate current sanctions to anything more meaningful. Instead, it is now more likely the US will focus its resources on trying to salvage the current Government in Kiev. The referendum on Sunday stands in stark contrast to the lack of referenda when Crimea was 'gifted' to Ukraine in 1954 and when Ukraine and Russia (alongside with Belorussia) agreed to dissolve the USSR back in 1991. Crimean accession was carried out on the request of the Crimean government that had effectively no less legitimacy than Kiev government has today. It was created on foot of a popular revolt by the democratically-elected parliament (although in the case of Crimea, as far as I am aware, opposition was present at the vote, unlike in the case of Ukraine). Officially (and that is not to say that this is a complete truth, which we may know one day) Russian military presence in Crimea did not exceed the contractually allowed 22,000 troops. Hence, technically, there was no violation of sovereignty. There was no opposition from the Ukrainian army, further confirming the above point (even if this lack of opposition was driven by the confusing orders from Kiev). The role played by militias (subject to the first caveat above) is no different from the role Maidan forces played in Kiev... etc, etc… All of which (not to justify the events that took place) goes to confirm that there is very little difference (at this point in time) between what happened in Crimea and what happened in Kiev. Whilst Ukrainian constitution does not recognise secession referenda held in a single region as valid, it is worth reminding that the same legal reasons for rejecting the Crimean independence were also raised in the event of secession of Ukraine (and Russian and Belorussia) from the USSR in 1991. It is, therefore, kind of hard for Kiev to have the old the cake and still keep it at the same time. So today's news put the score at Russia 2: West 0. And with it, Russian markets should be shifting into a 'risk-on' mode over the near future. Note: as I said before, my preference was and remains for the territorial integrity of Ukraine to remain intact. But setting aside my own preferences (and controlling in the above arguments for my imperfect knowledge of the events and facts on the ground), the current outcome is a new status quo. There is absolutely nothing anyone can or should do about it. 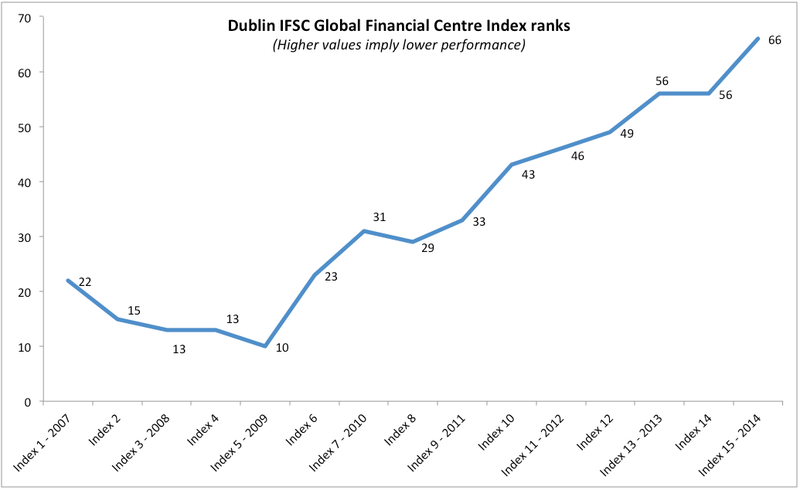 In that competition, Ireland's (well, most Dublin's) IFSC used to be one of the top dogs... 2007-2009 we ranked in top 25, 2010-2012 in top 26-50... Just as Irish domestic banks went through bust to boom cycle (in share prices and capital, if not actual performance and health), the Government has spent extraordinary amount of resources promoting IFSC as being an unrelated entity to the comatose domestic banks. 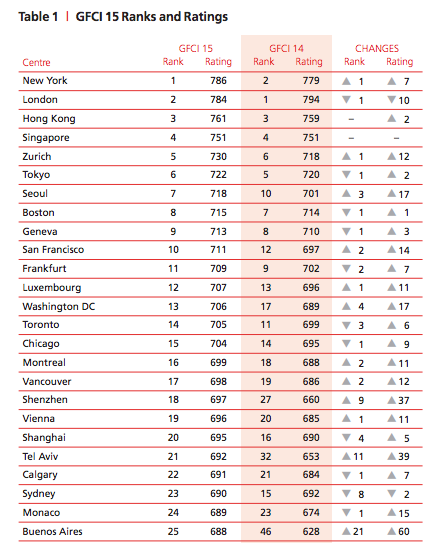 Actually, Dublin is now lower ranked than 'Mighty' Almaty (Borat-the-banker anyone?). Or for that matter tiny Wellington (yep, New Zealand). The minuscule Malta now ranks 67th, just one tiny bitty place behind the 'Intergalactic Centre of Excellence' on Dublin's Liffey shores. May be, just may be, our IFSC figure heads can figure out that their advanced age and heavy past careers emphasis on politics rather than finance might need to be augmented by younger blood and broader thinking? Or that Irish Government continued insistence on listening to the entrenched insiders might need to be diversified by attempting to hear new voices in global finance? 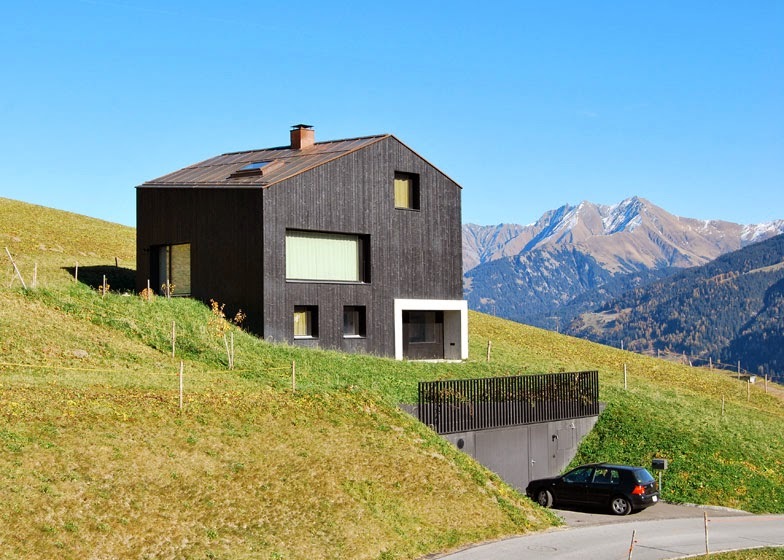 Of smaller, specialism-driven locations, Swiss are doing their best to stay at the top. Their strengths: human capital, tax system that favours high skills, open society and huge degree of international and internal (meritocratic) mobility. Our weakness: glass ceilings for foreigners, high taxes on skills, transitory human capital and more closed society focused on promoting insiders and taxing outsiders. Of smaller (similar to Dublin) locations at the top, excluding the Swiss, we have indigenously-driven expertise of Vienna, and international-mobility focused Lux and Monaco which openly flaunt all rules about not being brass-plating havens. Their strengths: expertise built over centuries, reputation for regulatory and taxation stability, and extreme affinity for zero or near-zero taxation. These two models, and may be some hybrids of others, can probably serve us well in regaining 20 or so places in the rankings. To rise further will require more than that. Likelihood is, however: our arrogance will continue pushing Ireland down the well-trodden road of arguing for more corporate tax optimisation schemes and sending more shamrocks-in-the-bowl delegations of aged men in 'bankers ca 1956' suits to 'rescue' the golden goose of growth that is the IFSC... The steering committees will be meeting, the back doors to various Government departments will continue swing open for insiders, and 'Johnny the Foreigner' with skills and talents will remain a hostage of complex, immovable bureaucratic apparatus of visas, permits, restrictions and costs. 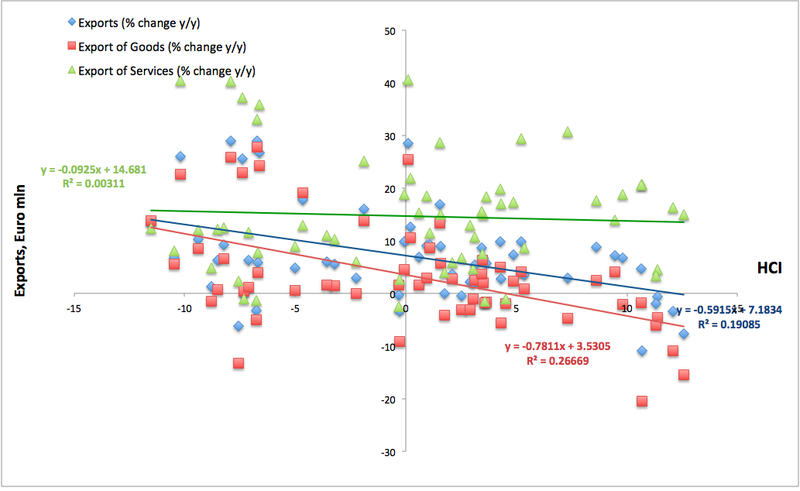 8/3/2014: FTT - More Benign Estimates of Impact?